Faustine Steinmetz is a French designer based in London. Faustine created her own fashion brand in 2013. She reproduces iconic pieces in the fashion world. 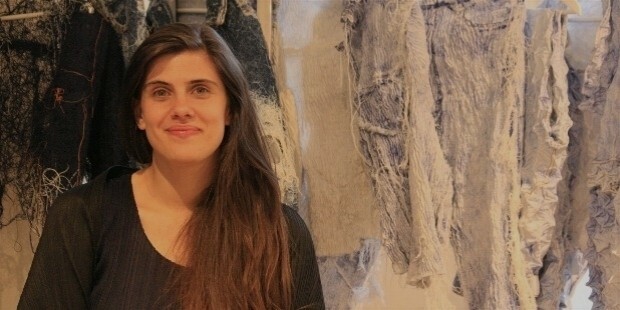 Faustine Steinmetz was born in Paris. She studied at the Atelier Chardon Savard, Paris. Faustine graduated from Central Saint Martins in London. Faustine did her internship at Jeremy Scott and Henrik Vibskov. She started her career in fashion designing by doing freelance graphic designs. It was a while before she launched her own fashion label. Faustine included weaving in her designing as she wanted to offer something where the price indicated the true worth of time that was spent making that piece. Faustine re-created old trends in new styles and fabrics, using her own handloom. She re-interpreted designs by replicating mass produced garments through modern techniques and gave them a new identity. She re-interpreted denim and classic silhouettes by changing the basic concept of the textile with a unique craftsmanship, using recycled thrift-store jeans. The pieces are completely hand- made in UK and exhibited in her London store. Faustine is currently supported through the London New Fashion Venture Program and is based at Mare Street Studios. She was shortlisted for ‘Fashion of the Vogue Fashion Week’ in the last Fall-Winter. 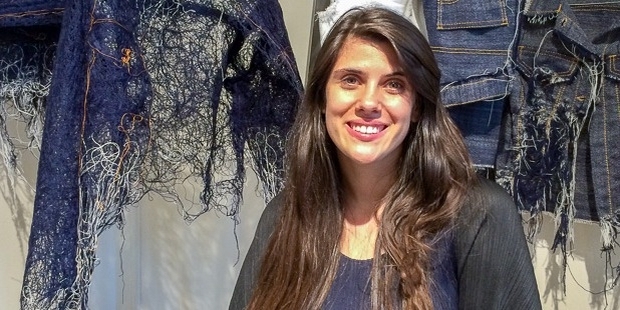 Faustine garners support from the Awards Program, Cotton USA for her detailed denim women’s wear. Faustine Steinmetz‘s collection won the ‘NEWGEN Presentation Sponsorship’. She was shortlisted for ‘Fashion of the Vogue Fashion Week’ in the last Fall-Winter.